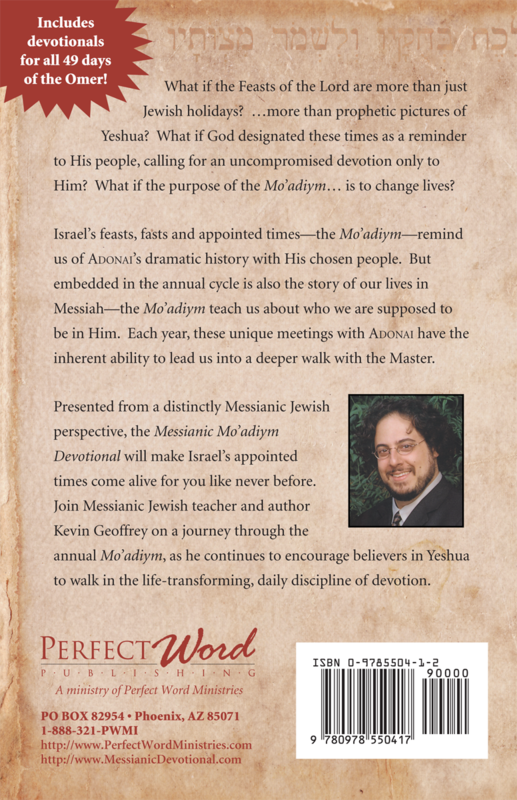 The Feasts of the Lord will come alive like never before as you journey through Israel’s annual appointed times with the Messianic Mo’adiym Devotional. 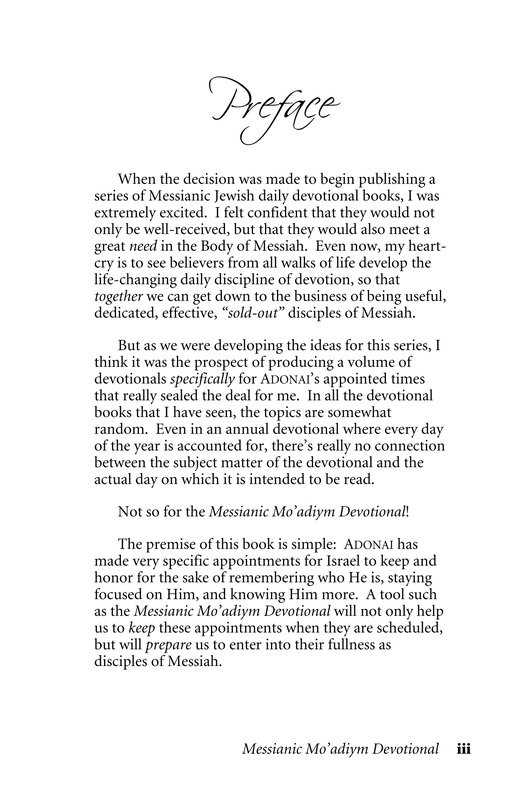 This companion volume to the popular Messianic Daily Devotional contains insightful and uplifting devotionals from a Messianic Jewish perspective, designed specifically to be read during the yearly Mo’adiym as found in Leviticus 23 (one devotional for each day of every feast, including all 49 days of the Omer). 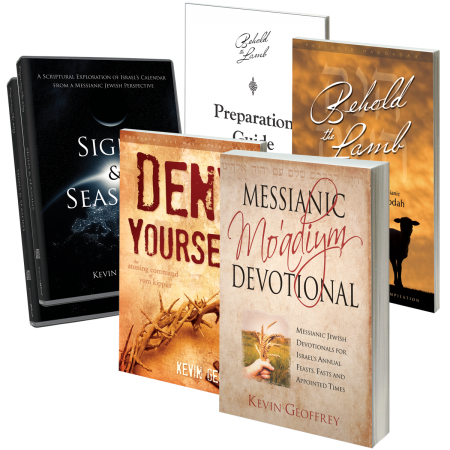 Also included is a special, extended teaching that introduces you to God’s appointed times, offering a fresh approach that lays the foundation for a unique and life-changing devotional experience. 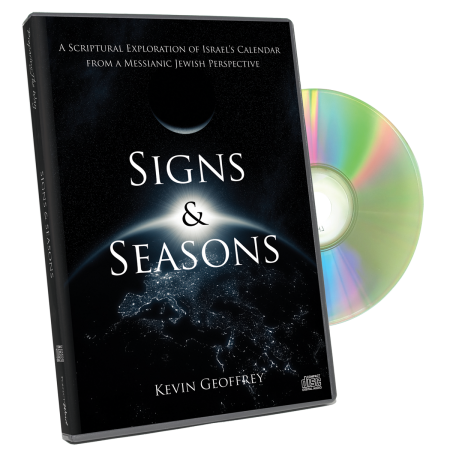 Enter into the fullness of these designated seasons with Messianic Jewish teacher and author Kevin Geoffrey, as he draws out the inherent themes found in each appointed time… deep truths that will lead us into a life of maturity, as we grow in devotion to our Master, the Messiah Yeshua. I have never been so blessed. 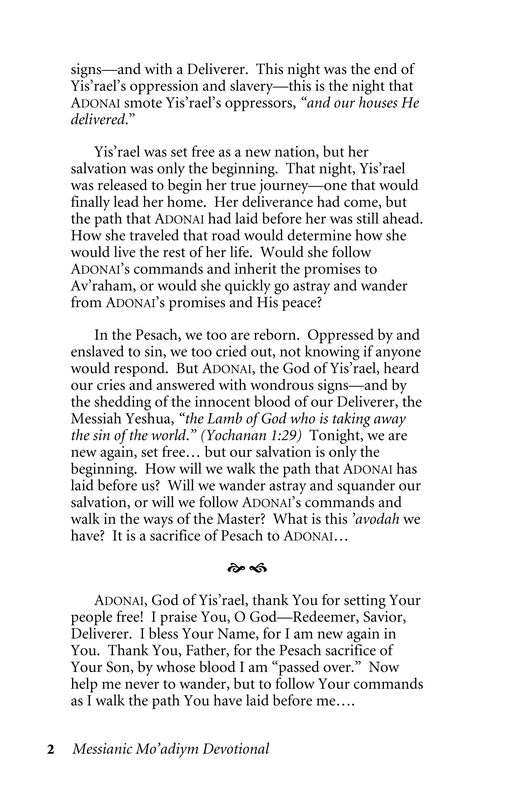 I look forward each day to reading what has been written. 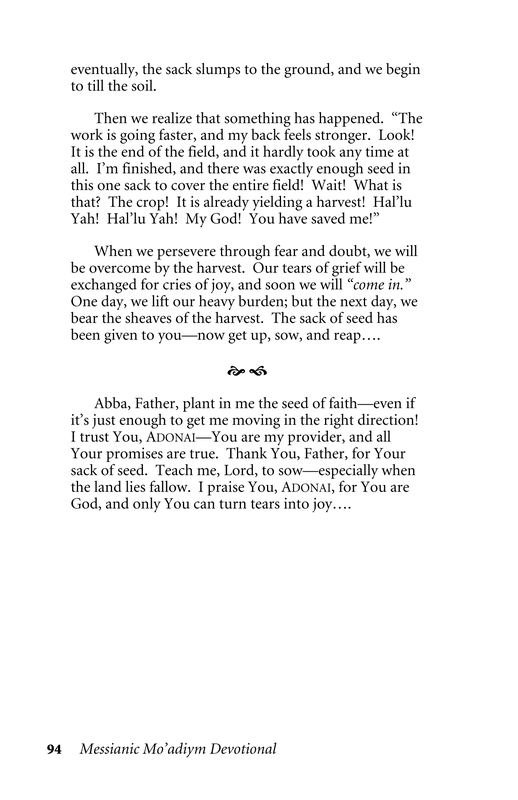 My heart leaps with such excitment at the truths that are revealed. Once again you have done an incredible job. Thank you!!! 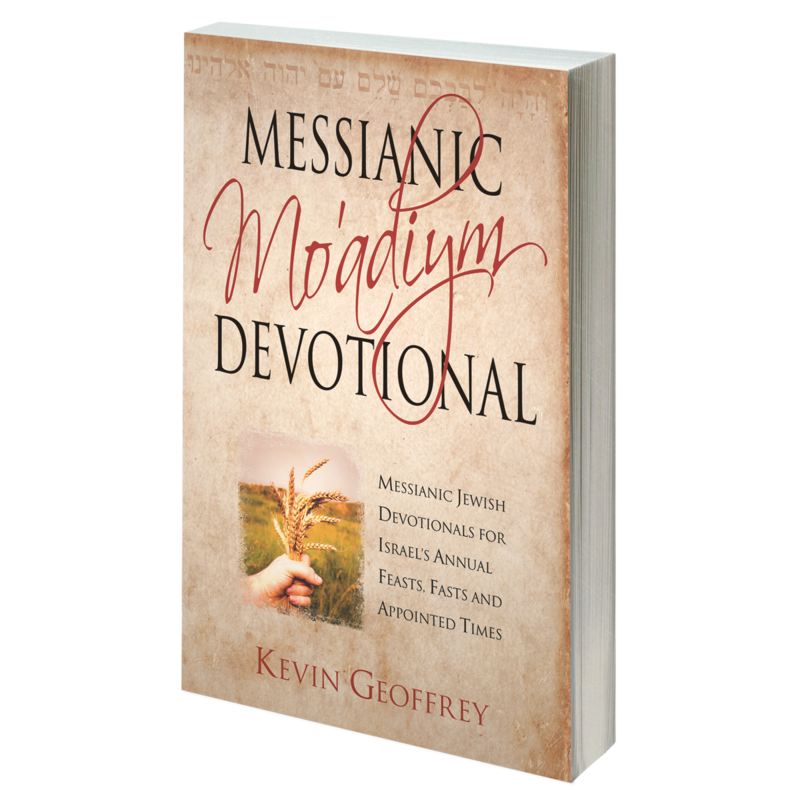 Perfect Word Ministries made sure that I got this devotional book before the High Holy Days. 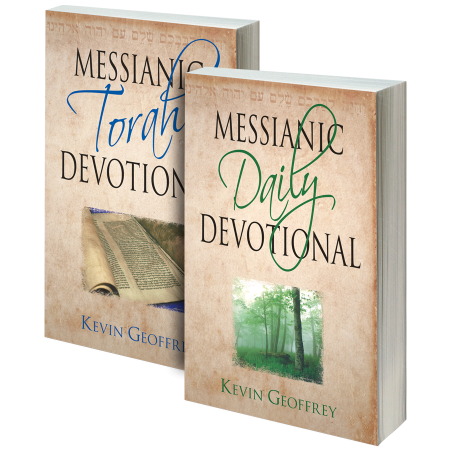 Since this was my first year as a Messianic believer it was a tremendous blessing and help. It added greatly in helping me understand the tradition and history in the celebrations. I look forward to being able to use it in future Mo’adiym. 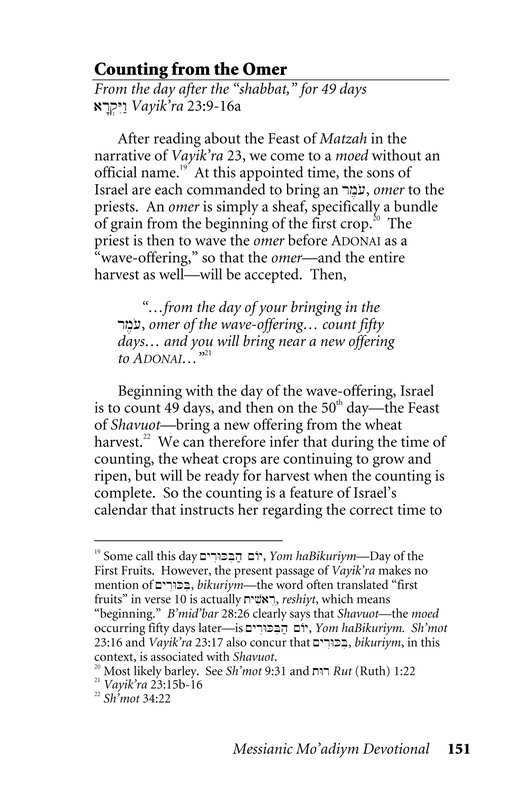 To be honest, I didn’t know of the feast and holy days. 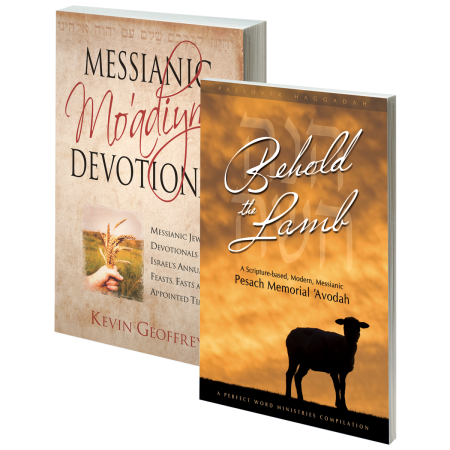 I encourage those who are serious to get one — the depth of knowledge of these days are essential. 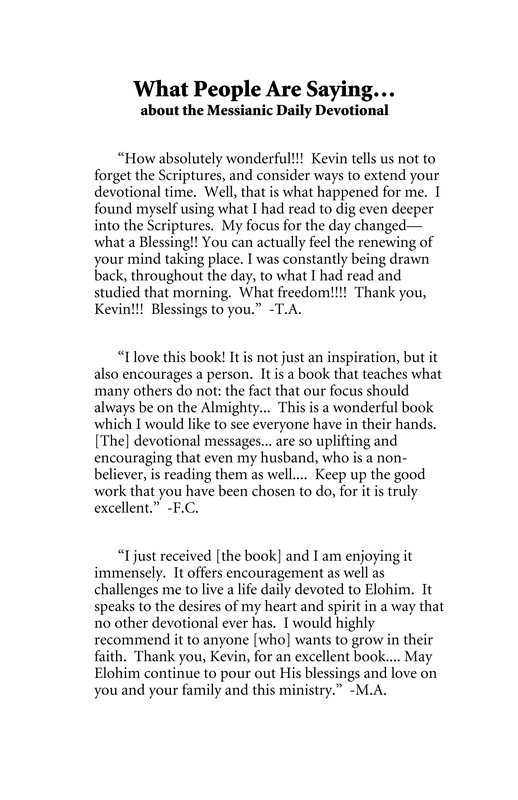 Thank you, Kevin, for a work well done. 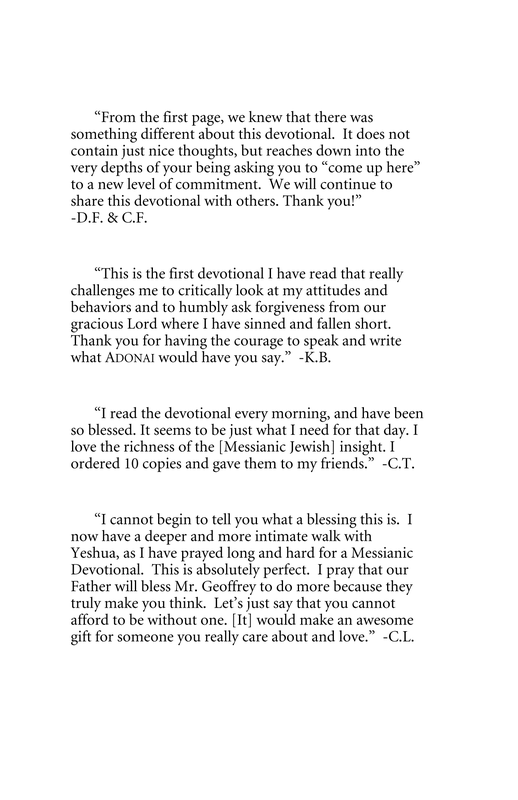 As a Messianic Leader, I have read many devotionals but none quite like this. 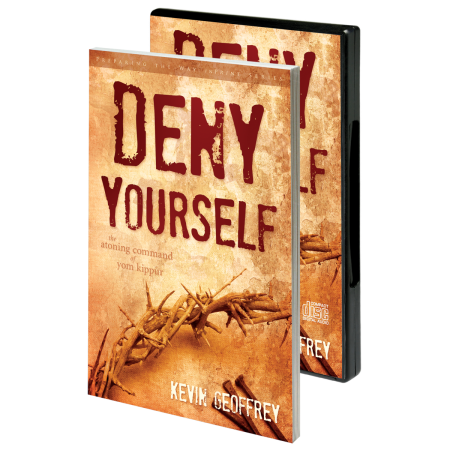 I cannot help but give this book a five star rating. 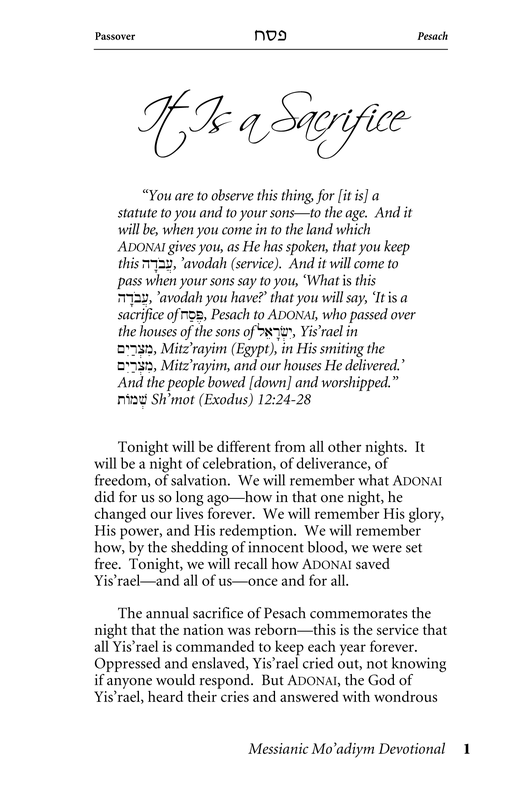 It was, without a doubt, one of the best devotionals that I have ever read for the purposes it was set forth to cover, HaShem’s Mo’adiym. 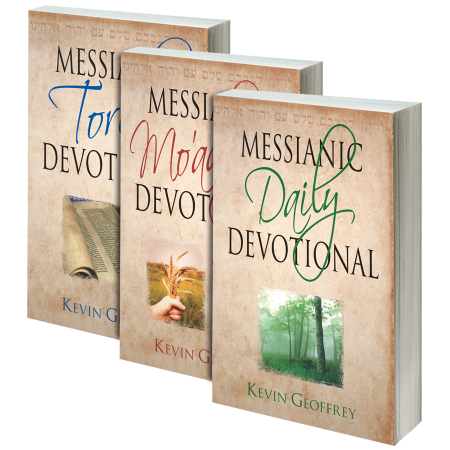 It’s more than just devotionals. 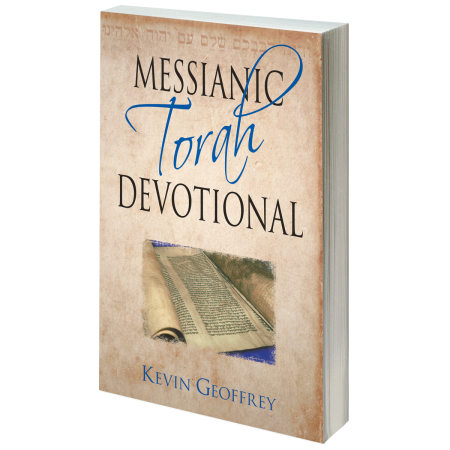 It contains excellent reference information, an overview of each of the Mo’ed, it explains and provides a greater understanding. I highly recommend this book to everyone, student and teacher alike. 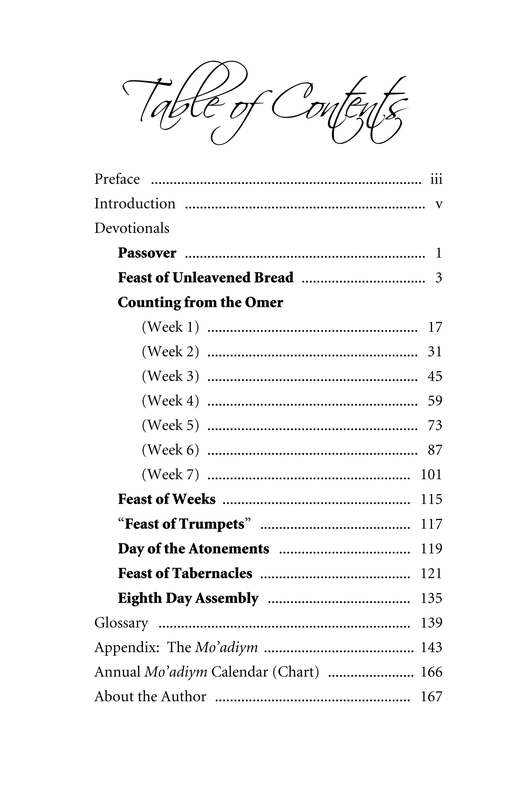 Reading this during the Feasts of the Lord has brought more meaning and devotion and blessing. Like the Messianic Daily Devotional, this book is rich. 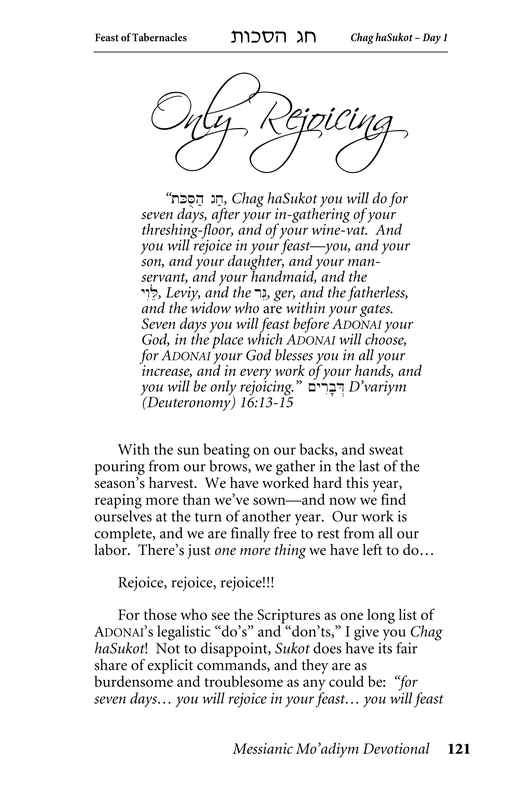 It truly has given me a deeper appreciation of our Jewish roots and all that Yeshua came to fill full. 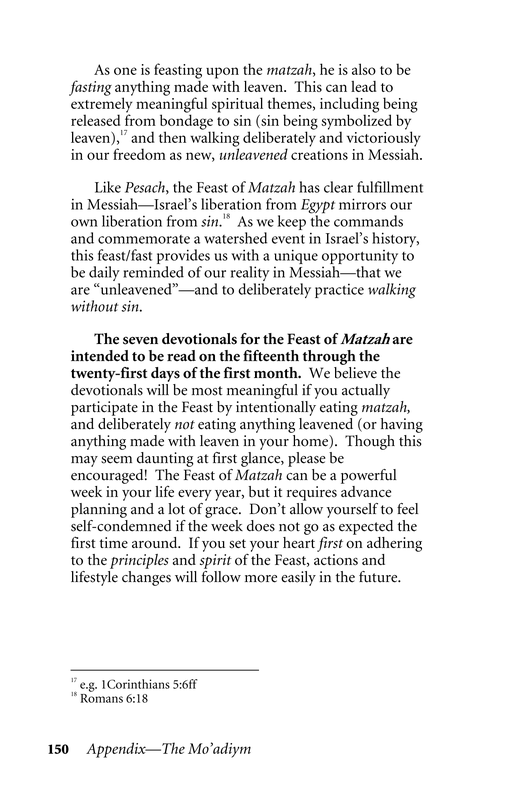 This resource has been such an aid to appreciating the deeper meaning and hidden truths in each of the festivals. 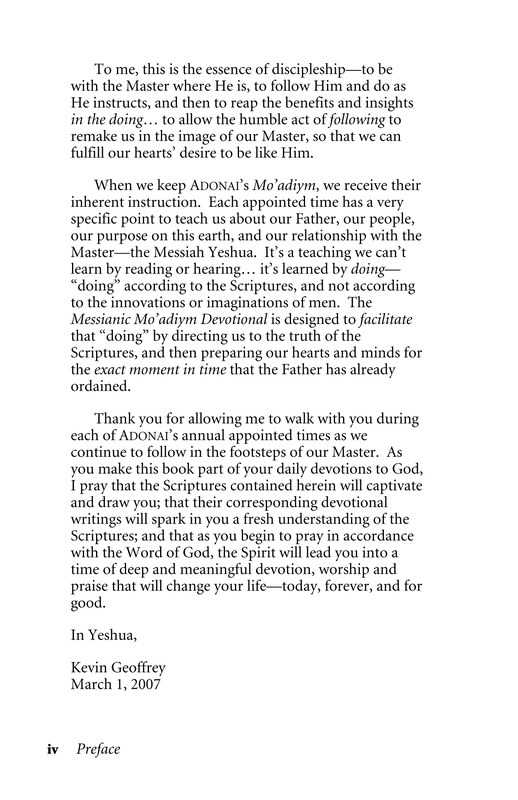 I have been examining my own heart as to my sincerity in fully following the Messiah. 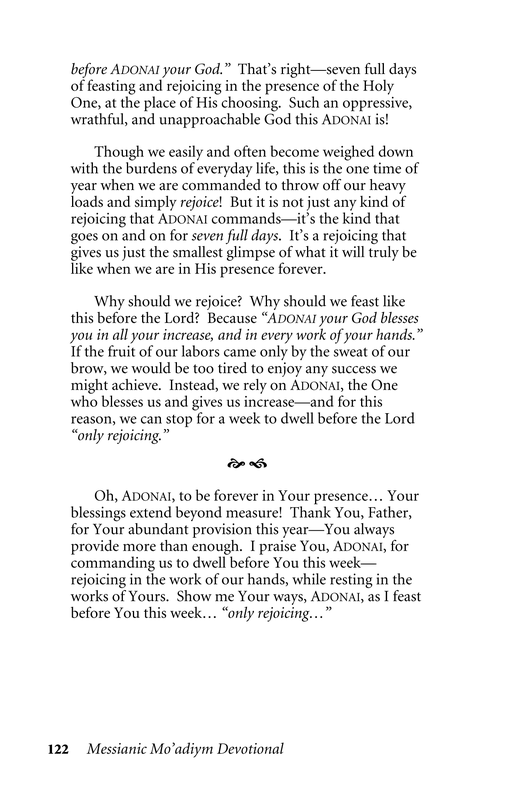 I have recommended this devotional to many people. 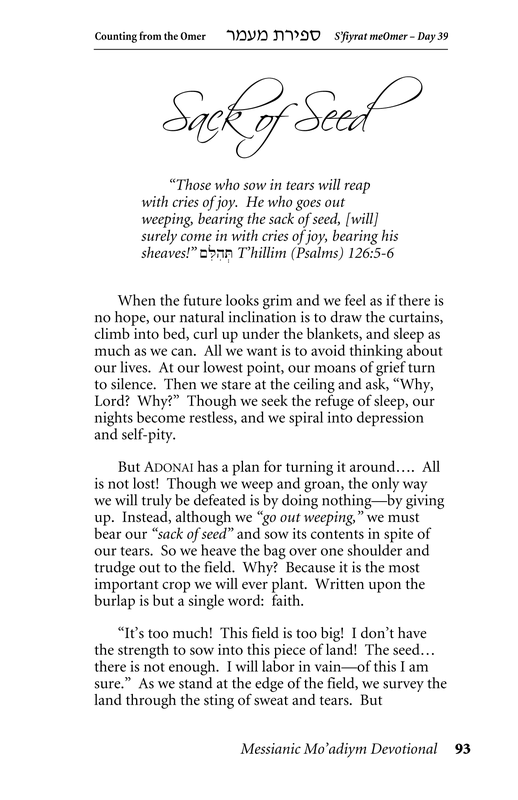 I purchased this devotional a couple years ago, and I found myself just this week picking it up and reading it again. It is as refreshing as the first time. Very well done.